This article details the extra options and features you can get with the LearnDash module in Astra Pro. 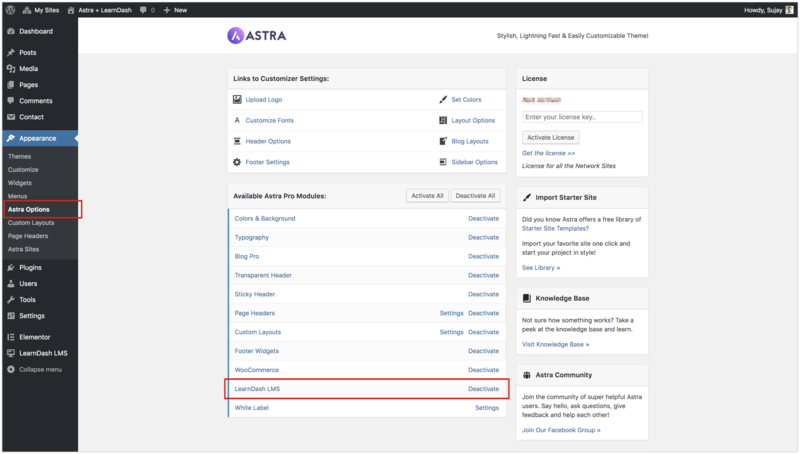 If you have not already, please check what Astra theme offers for the start. Astra Pro is the premium add-on plugin for the free Astra theme. If you do not have it, you can purchase it from here. Once Astra Pro is installed, enable the LearnDash Module to see more options and features for LearnDash. 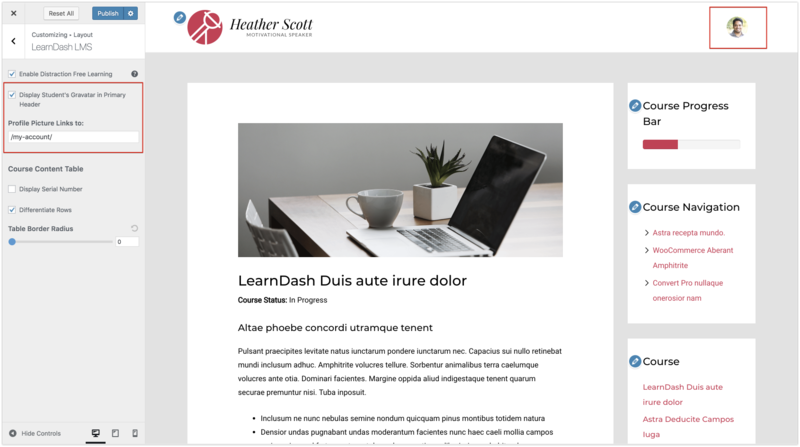 Enabling Distraction Free Learning option removes the navigation menu links from the header and footer from LearnDash single course pages, topics, lessons and quizzes. 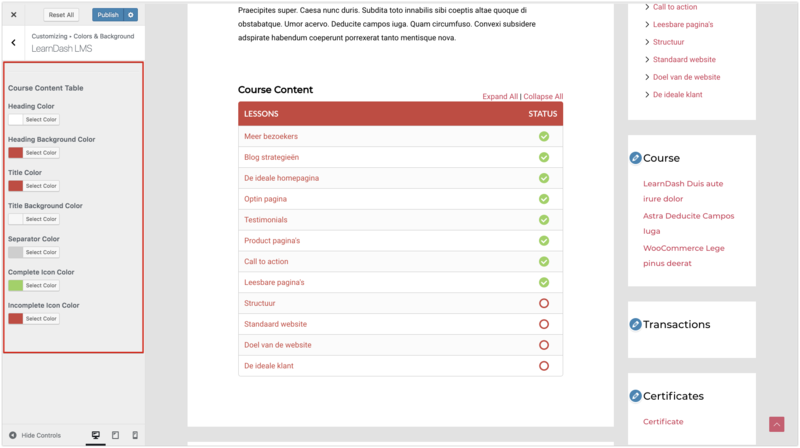 It presents your your content in clean, simple format and helps your students stay focused. 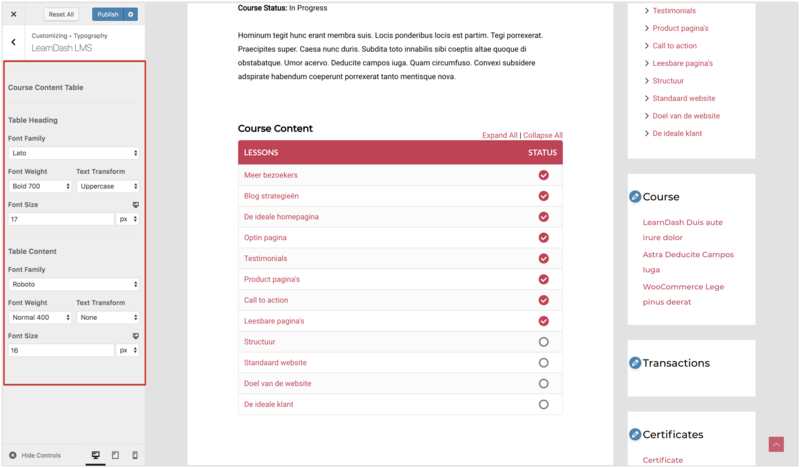 Go to Customizer ▸ Layout ▸ LearnDash LMS to find option to enable the distraction free learning. 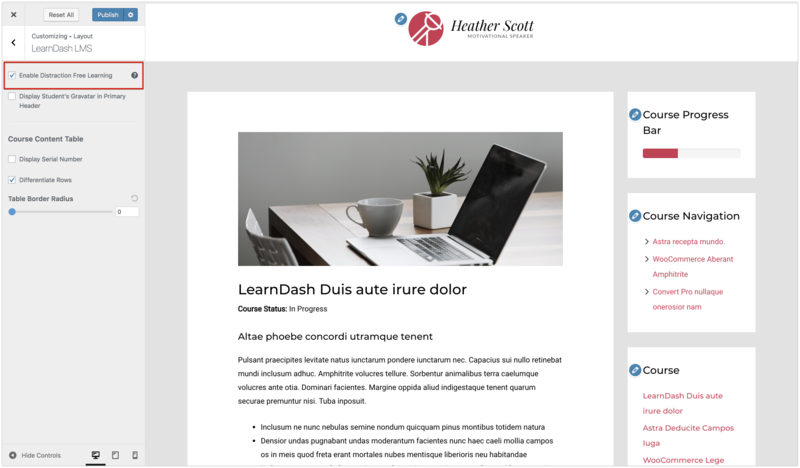 Personalize the experience of your students who are logged into your LearnDash website by automatically displaying their public Gravatar image. You can link this image to any URL, such as the “my account” page. Tweak the Table of Contents exactly as you need with this option. It will make the edges of the table soft and rounded. Need a special font and typography for the LearnDash Table of Contents? No problem! This option is located at ▸ Typography ▸ LearnDash LMS. And of course, you can customize the colors exactly as you want! 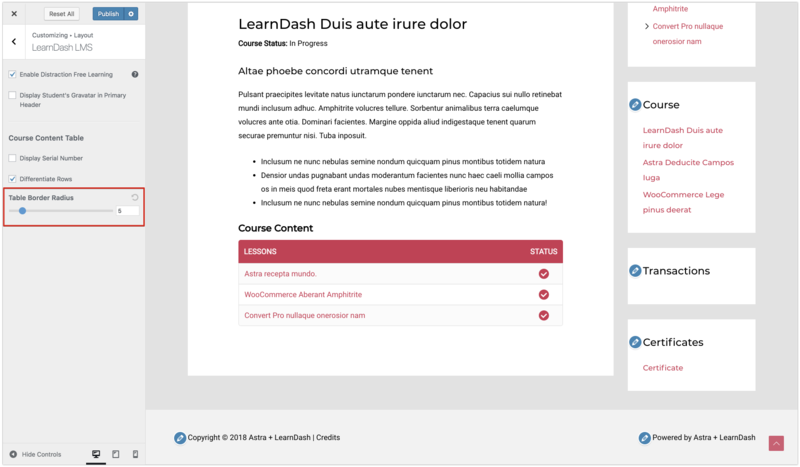 Go to Customizer ▸ Colors ▸ LearnDash LMS to find the option above.